Ooty, with mesmerising scenic beauty, enthral everyone. A must place to visit by every travel lover; Ooty has been a popular holiday destination even during colonial era. Located in Tamil Nadu, at a height of 2286 m in Nilgiri District, it is well connected to the rest of the country via road. It enjoys proximity to many other cities such as Bangalore, Madurai, Mysore, etc. Hill stations like Coorg, Coonoor and Wayanad are also located close to Ooty. 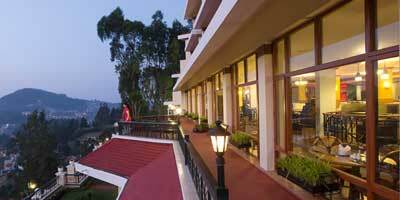 Our 1 Night and 2 Days Ooty Packages includes various facilities. We present our customers with ample of accommodation choices suiting their budget and preference. Hotels in Ooty have been selected by us carefully, ensuring that our customers are given good services. With our package, you can spend one night and 2 days in a comfortable hotel where you will be served in the best possible way. Along with a comfortable stay in the selected hotel, you can spend your days in exploring the beautifully valley of Ooty. 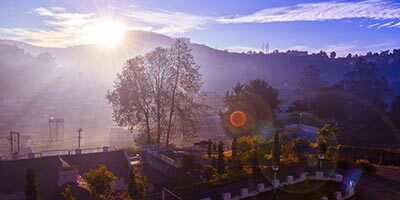 Ooty, which has been rightly called as the Queen of Hill Stations, presents a number of sightseeing choices, ranging from lakes, waterfalls, gardens to viewpoints. Have a boat ride at the lake, or relax amid the beautifully laid-out gardens, have an adventurous trekking experience or fun toy train ride. There are many interesting things to do in Ooty. For sightseeing as well, it boasts of breath-taking places such as Dodabetta Peak, Kalhatty waterfalls, Ooty Lake, Emerald Lake, Hidden Valley, Pykara Waterfalls, Dolphin's Nose, Deer park, Ooty Rose Garden, Botanical Garden, Avalanche lake, etc. Toda Huts, Wax’s World, St. Stephan Church, Parson Valley reservoir, Stone House and Tribal Research Centre are a few other popular places to see in Ooty. Not only places to see, Ooty is a heaven for shopping lovers too; essential oils, sandalwood products, chocolates, bakery products, and tea are some of the things to buy at Ooty. With our Ooty tour package for 1 night and 2 days, you can experience all this without any stress about arrangements and transportations. 1 Night and 2 Days Ooty Packages from Holidays DNA not only cover staying but also sightseeing. The package includes a private cab for sightseeing in Ooty. The cab will pick-up and drop you at your hotel while entire day you can spend in exploring the hypnotic beauty of Ooty. Driver batta and parking charges are also included in the package itself, hence you don’t have to worry about any hidden charges. There is also the flexibility to customise your package. We offer tailor made ooty tour packages which are created keeping all your needs in mind. If you have any specific requirement such as baby-sitting assistance, wheelchair, candle lit dinner, etc., you can let our travel advisor know and be sure of getting all the arrangements done. In addition to all the facilities that are offered in our 1 night and 2 days Ooty packages, we also offer 24/7 assistance; our travel experts are available to help you at any time of the day and night if required. If in case you are travelling to Ooty for the first then our travel advisors also help in choosing the right activities to do in Ooty, places to visit and as well offer guidance on the expected tourist behaviour at the hill station.